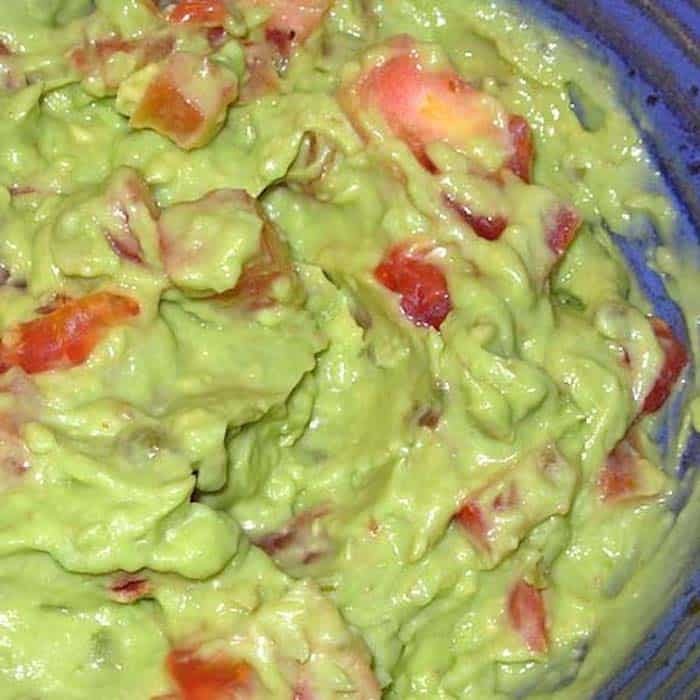 Homemade Guacamole. Simple. Simple. Simple. And so amazing. You can’t beat homemade Guacamole. Try it. 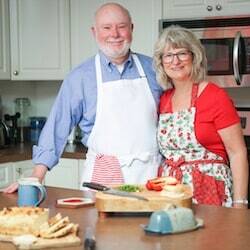 This recipe is the best (IMHO). Homemade Guacamole. You’re Gonna Love It. 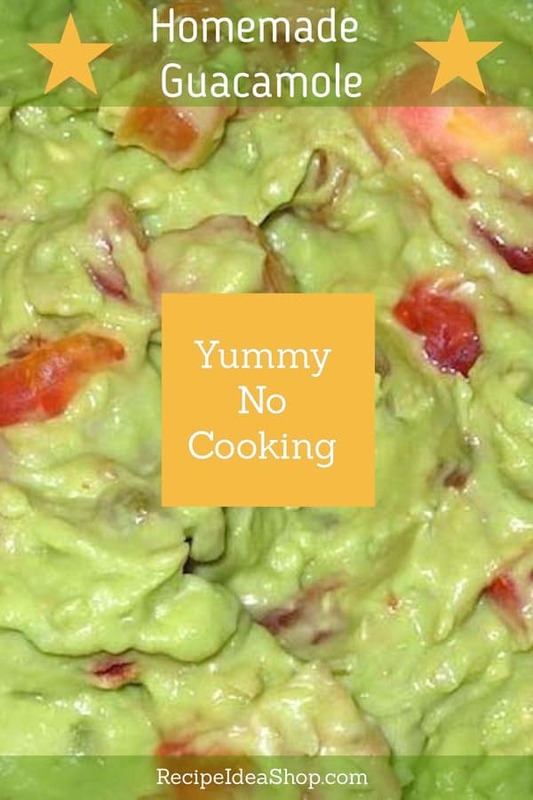 Guacamole is a yummy dip anytime. Eat it with chips, on sandwiches, or alone. It takes me 20 minutes to make Guacamole. If you don’t eat it all, you can keep it a day or two in the refrigerator. If you put the seed in the middle of the bowl, it slows the oxidation process and it won’t get brown so easily. Cover with plastic wrap to store. But, really. You’re going to eat it all, aren’t you? This Guacamole recipe takes just 15 minutes. And you don’t have to cook anything. Cut, mix, eat. Simple. I love it. And I always get compliments on this dip when I serve it to friends. This mini Cuisinart food processor works great for making Guacamole. I have one like this in white. Cuisinart DLC-2ABC Mini Prep Plus Food Processor Brushed Chrome and Nickel. Buy it on Amazon. I use a knife to cut my avocados, but you might like this cool avocado slicer. OXO Good Grips 3-in-1 Avocado Slicer. Buy it on Amazon. Creamy and somewhat spicy. Such delicious Guacamole. Use a small food processor to make the dip. Put the onion in the machine and chop it very fine. Peel the avocado and remove seed. Add the avocado meat to the onion and blend until smooth. Add all the remaining ingredients except for the tomato and blend again until smooth. Remove the dip from the food processor and put it in a serving bowl. Add the chopped tomatoes and stir gently to blend. Place the seed of the avocado in dip and cover with dip. This prevents the dip from getting brown. Serve with corn chips or taco chips. 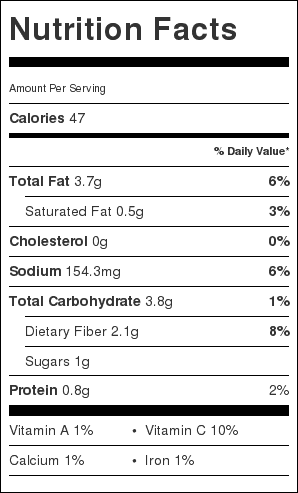 Guacamole Dip Nutrition Label. Each serving is about 1/4 cup. 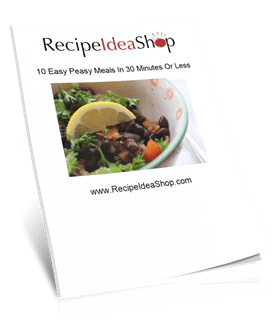 Sign me up for Recipe Idea Shop's biweekly newsletter!